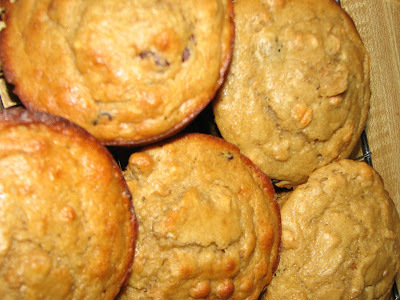 Cereal Muffins and decided to make these as I have some bananas to use up. Cinnamon, brown sugar, cranberries, Cheerios, bananas....These smell so good cooking, and they were so soft, the cranberries complement the banana-cinnamon flavor. Great for grab and go mornings. As stated in the recipe use whatever cereal you have on hand. 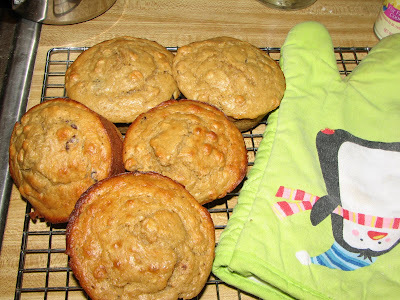 I think that these would be also good made as Pumpkin-Cranberry (Pumpkin replacing the banana), Pumpkin-Chocolate Chip, Banana-Chocolate Chip or Apple-Raisin(applesauce instead of the banana). 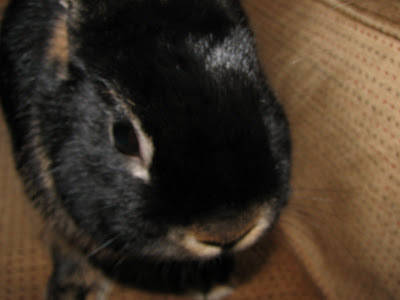 Here are some bonus pix of my male bunny, Stitch. 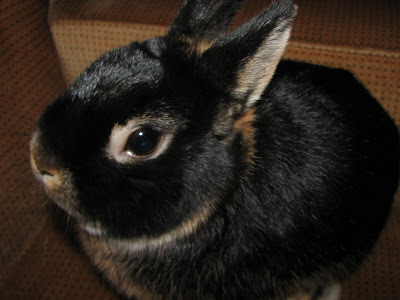 He is a Netherland Dwarf and his color is otter.